I enjoyed the food and shopping in Sydney, though both activities were quite brief. Amazing nonetheless. On Wednesday night, it was windy and rainy. Blustery really. The State of Origin football match was on. I was convinced that a famous rugby player was staying at my hotel. Ian Roberts I think. He smiled at me. I'd like to think it was him. I met the gorgeous Kristy at my hotel and we walked up the street to have Greek food. We both had moussaka to avoid food envy. It was meaty, bechamel goodness. I had a cocktail. 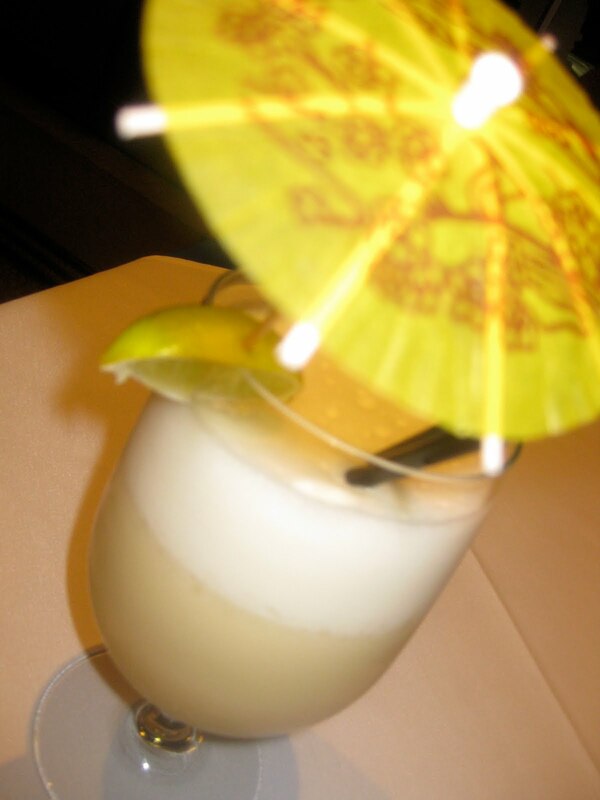 It was pina colada. It didn't really fit with the blustery weather or my sky high boots. The service at the restaurant was poor. The olives were not pitted. The food and company made up for it. Here is Kristy and I looking lovely. I really didn't need the skivvy for Sydney's weather. In the morning, I needed to get from Circular Quay to Pyrmont so I decided to eat at the hotel before I left. It meant stress free dining. I've never had a hotel breakfast buffet before that day. 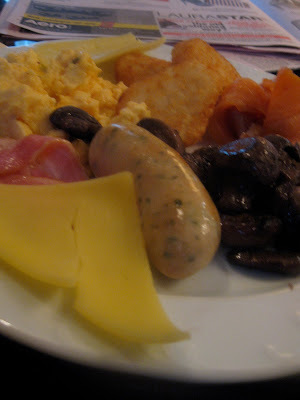 The breakfast on Thursday 27 May 2010 will be etched in my food memory forever. I loved it! 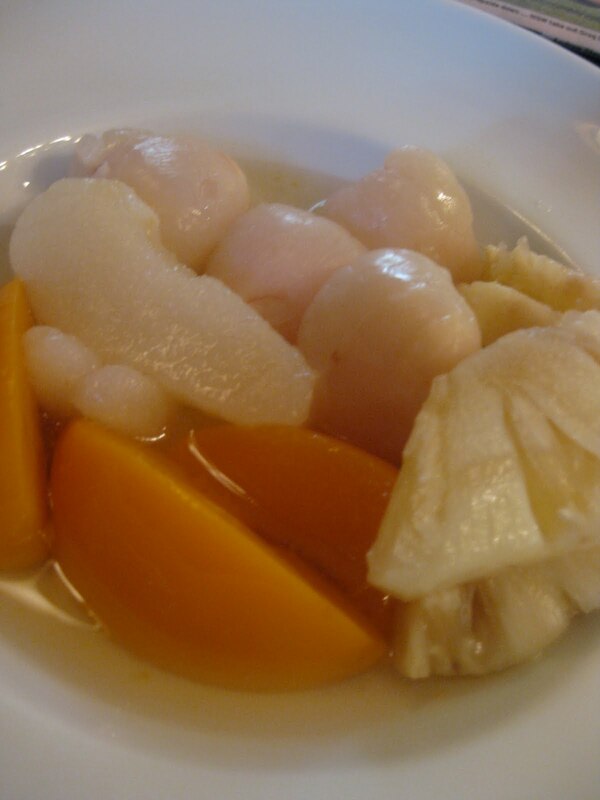 This is fruit compote. Lychees. Peaches. Pineapple. Pear. Yum! Egg, salmon, sausage, bacon, mushrooms, hashbrowns, cheese. The style section of the Sydney Morning Herald. Bircher muesli in a shot glass. Berries suspended in jelly in a short glass. A pastry. I am still coming to terms I had jelly for breakfast. Two jellies in fact! This amazing breakfast buffet is at Sir Stamford, Macquarie Street Circular Quay. 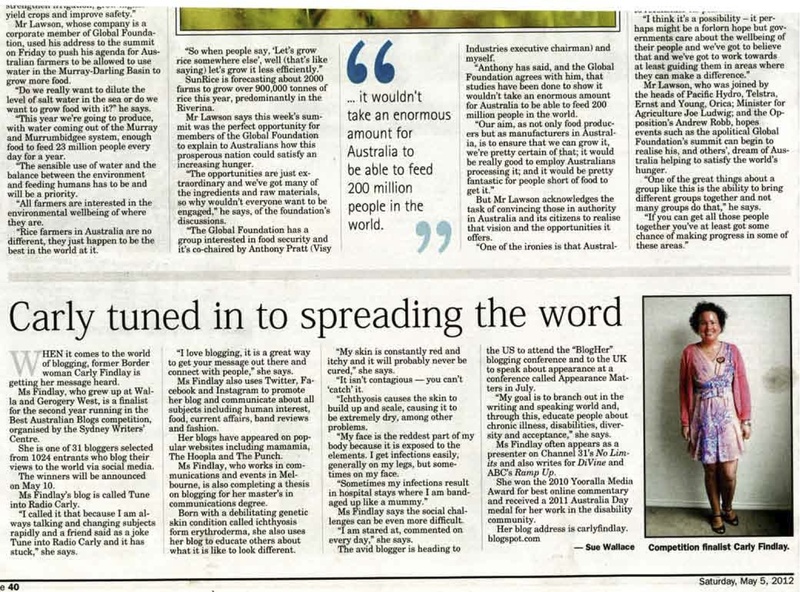 The Sydney Magazine came with Thursday's Sydney Morning Herald. Confirming my suspicions, it is almost identical to the Melbourne magazine that comes with the Age on the last Friday of each month. Guy Pearce on both covers. The feature articles are the same, but they do have Sydney and Melbourne centric articles. Lunch at the conference was salads and wraps. I didn't photograph them because of my no blogging about work rule. But I did photograph some pretty aspects of the food at dinner. It was too good not to do so. This is a meaty terrine thing wrapped in bacon with butter smeared on the plate, some sort of berry jam and marscapone. This is a dessert plate. It contained pistachio and olive oil cake, lemon meringue tart, coconut cream, another meringue, chocolate and peanut tart and some other delicious things. In between the conference and dinner, I went to a wonderful deli next to the conference venue. It is called Signorelli Gastronomia. It is located at Ground Floor, Trouton Place, Pyrmont, Darling Island Wharf. It was everything I dreamed of, and I was so pleased to visit it after the conference. Organic produce. Cold meats. Wine. Pasta. Pasta making courses. A cheese room! The staff let me take photos for this blog I thought I'd taken more photos but I was probably too excited at finding this amazing store. 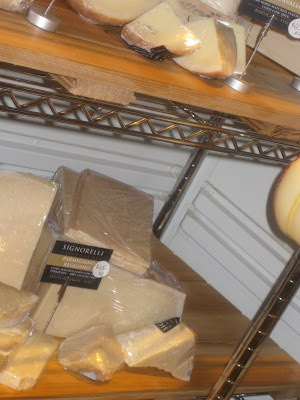 The cheese room. Amazing. My sort of heaven. My favourite yoghurt. Yalla. There is currently a tub of the vanilla and cardamom yoghurt in my fridge. 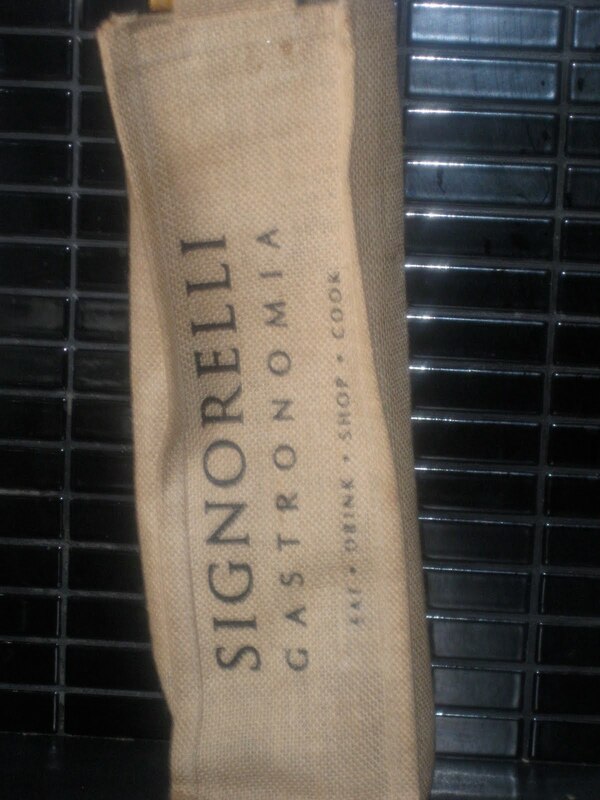 I bought a few things from Signorelli Gastronomia. This is Belgian chocolate. 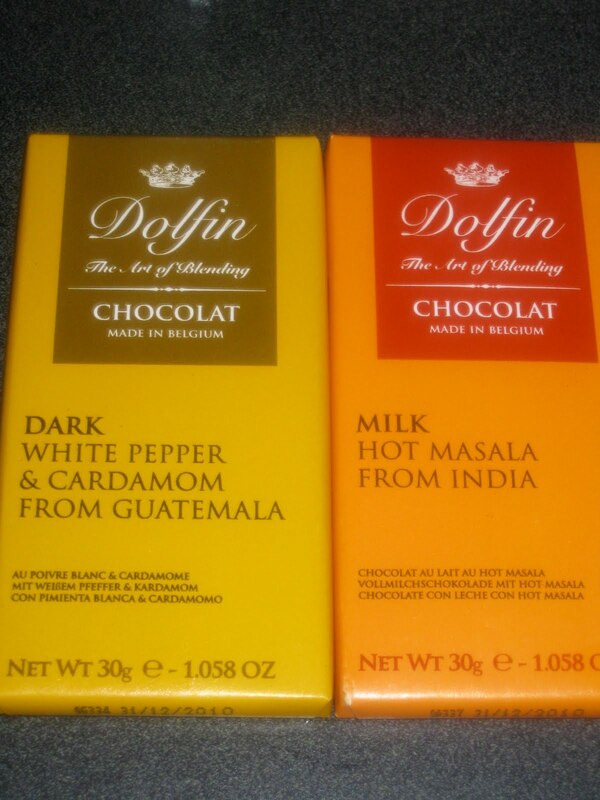 I tend to only eat good quality chocolate. These are cardamom and white pepper, and Indian spice. 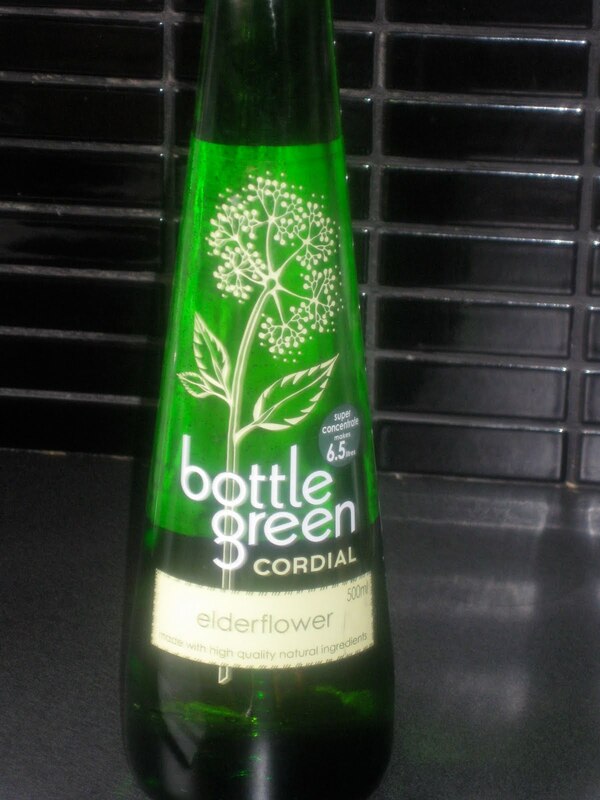 This is elderflower cordial. I once had some elderflower drink in Tasmania and loved it. This is paella spice mix, a present for my parents. 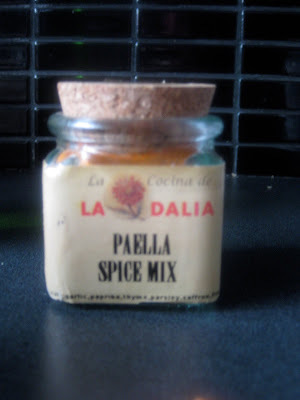 They cook paella. I really wanted to buy cheese. But realistically, unless I ate it in the hotel, it would not have traveled well. Sydney foodie folk - you really have to go to this deli. It is an experience. You can eat dinner there as well as shop and do cooking classes. Sydney Shop Girl, I set you a blogging challenge - visit it and blog about it! 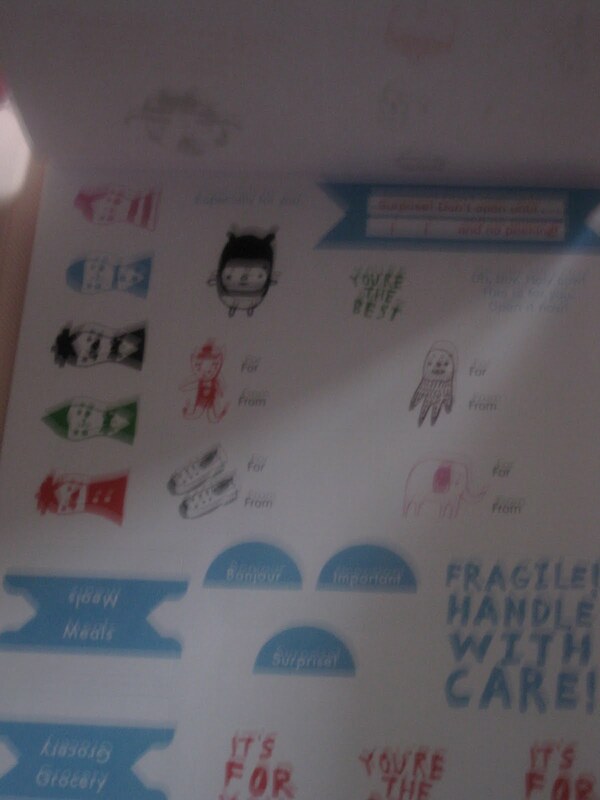 A sticker label stationery set. A present for Kristy, to be posted tomorrow. I also bought season one of Underbelly. The one featuring Callan Mulvey. The one that can't be screened or sold in Victoria. I have watched five episodes already. While Callan was nice to look at, and a great actor I didn't care for the violence or glorification of gangster crime so close to home. And I really wished Callan played a character that lived longer. A funny thing happened when I walked through the city. Cathy, a blog reader, saw me and recognised me. She wrote on my blog comments that she did a double take, wondering why I was in Sydney not Melbourne! So that was my short trip to Sydney in many pictures. I had a great time. Can't wait to visit again. Thank you for reading. Glad you had a stunning time in Sydney! Even as a Sydney-sider, I wouldn't buy anything here if I were coming from Melbourne. Glad you had a good time. I think I've been to that Greek restaurant...the food is good, but yeah the service isn't great. Great post Carly. Look and sounds like you had a great time in Sydney. That moussaka looks dreamy, I am obsessed with greek food atm. Jelly for breakfast is totally normally. It was one of the few things I would eat for breakfat as a kid. So glad you had a good time despite the weather. You have set the challenge, I will follow through soon. Once again, you were here for too short a time. Hope we can meet soon. PS - is that Ben Mendelsohn or Guy Pearce on the Sydney / Melbourne magazine cover? SSG - yes, I was there too short a time. Maybe next time. Thank you for the call, you are lovely. It is Ben Mendelsohn. I never liked his character in Love My Way. Probably because I adored Claudia Karvan too much. Fi - I need to make jelly a regular part of my breakfast! Lanelle - Thank you for liking it :) I enjoyed writing it. You should have stayed up here a few more days to see the Basement Birds! I know! I missed the Basement Birds twice, by an inch!! Oh wow, that deli looks incredible. My partner works in Pyrmont a lot so I'm going to put in an order!